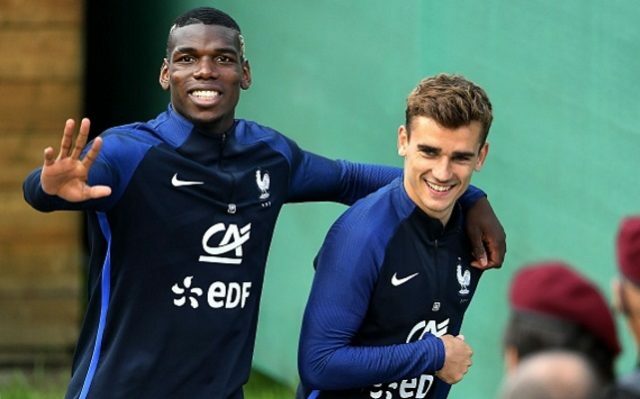 Despite spending a mint on transfer pickups so far this summer, Manchester United do not appear to be anywhere near done yet and are ready to shatter the world transfer record in an effort to acquire Juventus and France midfield sensation Paul Pogba. According to the Express, Man United executive vice-chairman Ed Woodward held talks with Pogba’s agent Mino Raiola yesterday in Monaco about the potential of a £95 million transfer deal for the French megastar. Per the source, manager Jose Mourinho is eager to bring the former Man United academy superstar back to Old Trafford – which would cap off an incredible summer of acquisitions that has included scoring machine Zlatan Ibrahimovic, assist-ace Henrikh Mkhitaryan and defender Eric Bailly. Pogba played for Manchester United at the academy level from 2009 to 2011 before making his senior debut in the 2011-12 season. He moved to Juventus the following season and has since emerged as one of Europe’s best midfielders, leading the club to numerous titles in Italy in the process.